Women in Motorsport Media-Film work commands half of MXLink posts from initial launch in 2014. Total of 72 articles and 24 Films, MXLink has sought goals for broadening reach on promotion of Women Motorsport Racers through written articles, interviews, in-person stories, filming at MX Championships/GP’s, training tracks in NZ and overseas, capturing visual creative content on Women Riders in person- giving viewers glimpse on day-to-day life pre-during and post racing. From intitial Media work on Courtney Duncan achieving success at Hangtown, winning AMA Women’s Pro MX Triple Crown in 2014, led to follow-through publications and TV air-time on Courtney’s MX career all the way to Women MX World Championships 2016/’017/’018/’019. 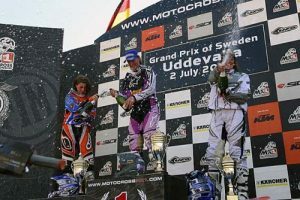 Media-Film work at WMX Rounds opened door to gain insight on European Women Riders, sharing their comments, experiences, challenges and achievements on the track in word and film. Most notably interviews with Livia Lancelot, Kiara Fontanesi and Nancy Van de Ven stand-out as pivotal for taking Women in Motorsport Media-Film to next level of exposure. Backed by personal friendship with NZ’s Katherine Prumm (now Oberlin-Brown), who rocked our world winning Women MX World Championship in 2006 and 2007, Media-Film work focused on production of content which gave viewers in-depth knowledge on Women Racers commitment, sacrifice, endurance, and strength of character not just to race at World MX Championship level, but to fund racing career. NZ’s Avalon Biddle came under equal battle to fund racing World Superbike Series in Europe, for decade til 2017. Having won FIM European Women’s Cup 2x, MXLink spent 3 days with Avalon, then based in Roermond, Netherlands producing ‘Av’s story’- one of only 2 females competing in World Superbike Championship SSP300 class in ‘017. Media-Film work produced content on Women Motorsport Riders off track- not the norm given main focus was racing. Statistics proved otherwise. Viewer Watch-time rate increased from 33% audience retention to 74%, geographical reach covered 100 countries, website postings: written and visual attracted upward swing of new viewers/readers: termed Unique Views which for first 3 months of 2019 has hit all time high of 3K per month. 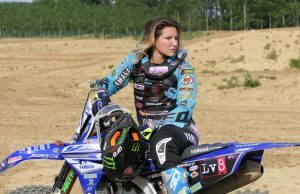 Without a doubt, Media-Film work with Italian Women MX World Champion Kiara Fontanesi re-defined what was possible for promotion of Women Motorsport Athletes. Stretching boundaries on filming Kiara in person, tracking her day-to-day happenings- from training, to official engagements, to racing, to gym/cycling, to workshop, to meet with Team crew, to meal-time and relax with friends- over course of 4 days gave viewers rare insight on what makes Kiara the special person she is. Creative use of camera, capturing moments of insight, telling the story as it occurs naturally, remains key to sustain new viewer Watch-time as was the case filming NZ’s Rachael Archer: Cross-Country/Enduro/GNCC in 2018. As down-to-earth as a Women Racer can be, Racheal made Media-Film work so enjoyable. The welcome received to film Rachael at home with family was definitely one of the most memorable experiences myself and camera person James Bennell have had. To 2019, Media-Film work covering Women MX World Championship enters new era. 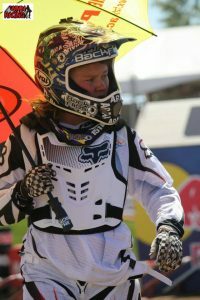 No longer does analysis, statistics and web data play part on determining written and visual style, format and technique on promotions of WMX Riders. Media-Film MXLink has cemented many years building crediblity among Women Motorsport Racers, trust has been established, transparency of telling stories through written and visual content has been proven, and results of increased Watch-time attracting new viewers locked in. New, fresh opportunities for promotion of Women Motorsport Riders await. Young, determined, talented Women, in 2nd/3rd full WMX season, some still at school, juggling work-training-racing- from within and outside Europe have experiences to share. 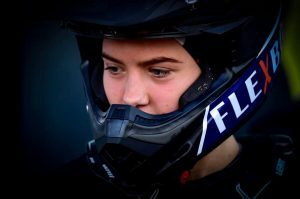 With all hard yards put in, MXLink will bring next chapter on promotion of Women Motorsport Riders for 2019 and beyond. Header Photo: Lynn Valk, WMX 2019.